When it comes to pin design, what mistakes are you making? Whether you call yourself a teacherpreneur, a mompreneur, a dadpreneur, or just an entrepreneur, you are most likely utilizing Pinterest to reach your target audience. But is the design of your pins turning your audience away rather than causing them to click, repin, and repeat? I’m no expert in the area of graphic design, but I DO have an eye for design. 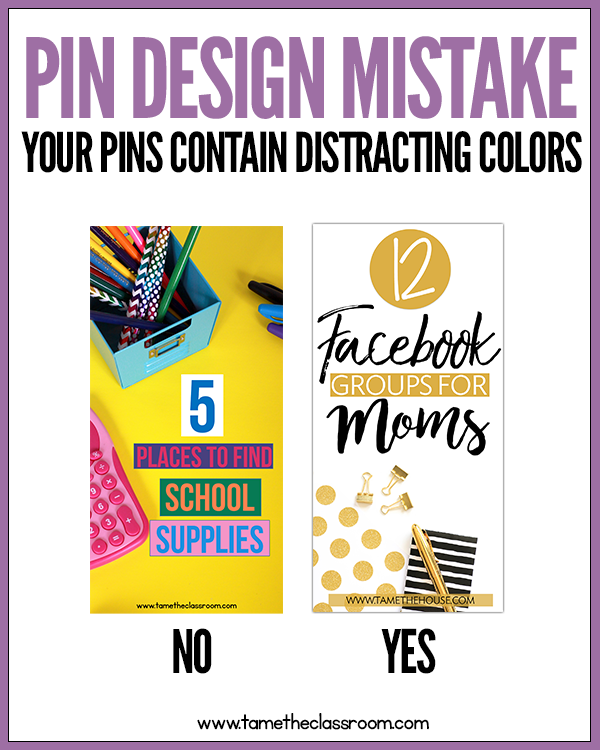 As an avid Pinterest user, I notice some pin design mistakes that others (including myself) make that are killing their Pinterest game–and not in a good way. 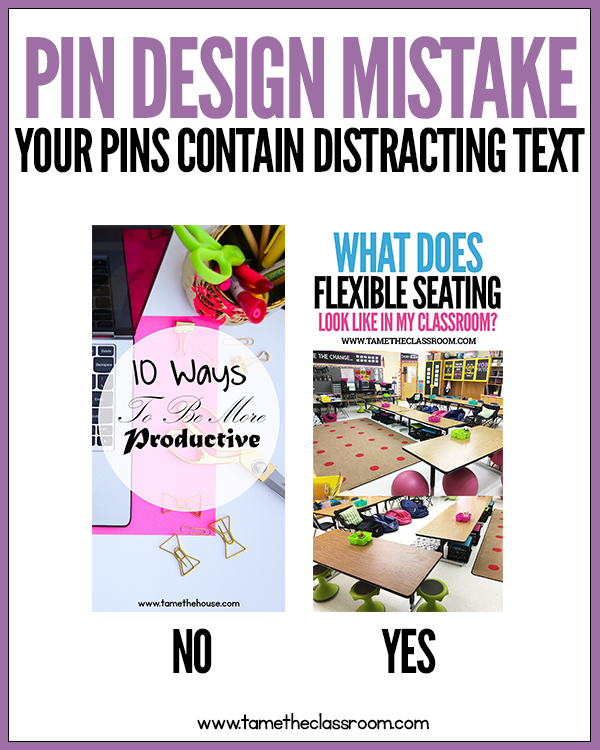 Here are a few pin design mistakes that you might be making. And don’t worry, there’s a free checklist that can help you fix those mistakes. As much as I love Pinterest, Pinterest can be a piece of work sometimes. 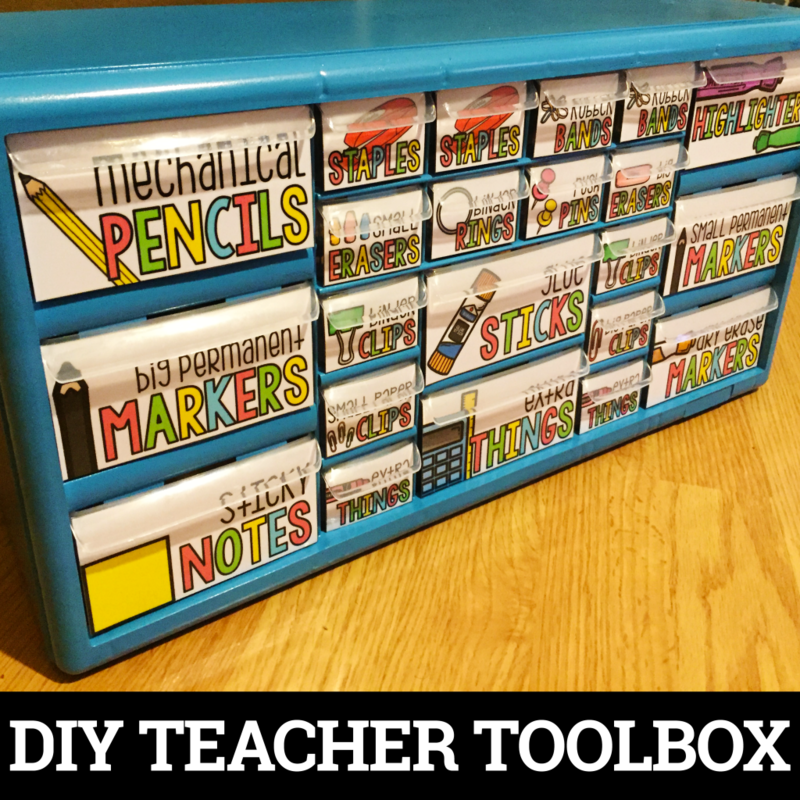 When I started using Pinterest to promote my Teachers Pay Teachers store, I pinned any and all kinds of images. I saw the tall images, and those attracted my eye, but I didn’t really think too much about creating them to promote my business. Fast-forward to a few years ago, and I have a bit more design-savvy when it comes to Pinterest. The new thought is that LONG VERTICAL PINS ARE KING! All of my pins are now long and vertical. Now Pinterest is encouraging square pins at 600 x 600 as well as the favored vertical images at 600 x 900. Dear Pinterest, Instagram, and Facebook…stop changing and rearranging those algorithms! Thank goodness for Louise Myers’s Pinterest guide because I would have never known about these changes. I’m now experimenting with the new sizes, but I will continue to make some of my 1000 x 2000 sized pins too. In my opinion, because of how Pinterest is laid out, long, vertical pins just look a lot better when viewing. If you choose to use a square design, make sure that it is not too small. Those types of pins tend to be overlooked by Pinterest viewers and hence, don’t perform well. On the other hand, don’t make a pin that is extremely long, or a giraffe pin as Louise’s mentions. Pinterest might cut off parts of pins that are too long. This means that users will have to click on your post, and expand it to see it. 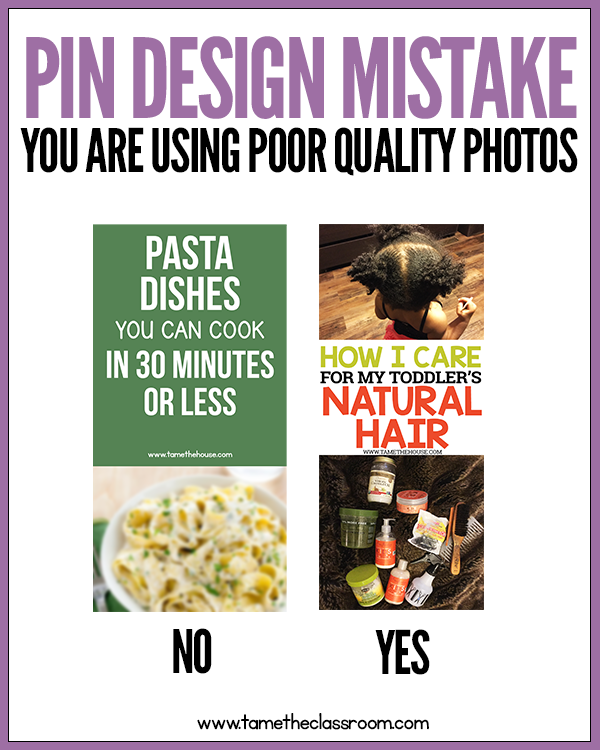 Grainy or blurry photos in your pins are a no-no! Whether you are using stock photos or taking pictures with your phone or DSLR camera, your pins should display photos that are eye-catching and of good quality, especially if you are showcasing your own products. Failing to use easy-to-read text has to be, by far, the biggest mistake that you can make when designing pins. Why? Pinterest is a visual platform. You often read the text on a pin before you read the title or description under it. You don’t want your audience to have to squint or turn their head to the side to read the text on your pin. Be mindful of the font style and size that you use in your pins. You don’t want your wording to be too big or too small. I often like to pair small text with large text. Sometimes I’ll make the words I want to place emphasis on larger than the other words on the pin image. Regarding font styles, I like using fonts like League Gothic and Roboto Slab, because they are clear and crisp. Another text-related mistake is including too much wording. When you include text on your pins, you want to grab someone’s attention. Using a few keywords or enough words to get your point across is ideal. There’s no reason to include a book report on your pin. Utilize the description box if you want to provide your audience with more information about your pin. Remember that Pinterest is very visual. People tend to be automatically drawn to something that is pleasant to their eyes. Using colors that are too dark or too bright can cause people to ignore your pins. You really have to think about your audience when choosing your colors. Light pinks and purples might work well with some audiences, while warm reds and oranges work for others. Also keep in mind that using too many colors can be a bad idea. If your image already has a lot of colors going on, try not to use text that is various colors too. 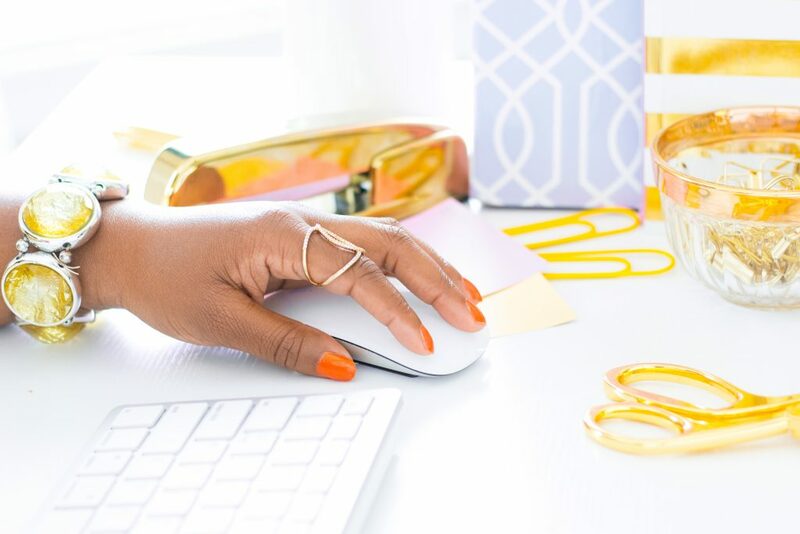 Including your brand info seems like a no-brainer, but many entrepreneurs forget to include it in their pins. There are two important reasons to include your brand info. First, it helps connect you to your brand. It’s always a great idea to make your business easily identifiable. Simply adding your URL or logo helps your audience know when they are looking at content that comes from you. Second, it helps reduce the chance that someone steals your pins. Yes, this does actually happen! People will steal your images and have them linked to their own website. Of course, people can still do this even with your logo and/or website clearly listed, but it’s still a good idea to do it anyway. 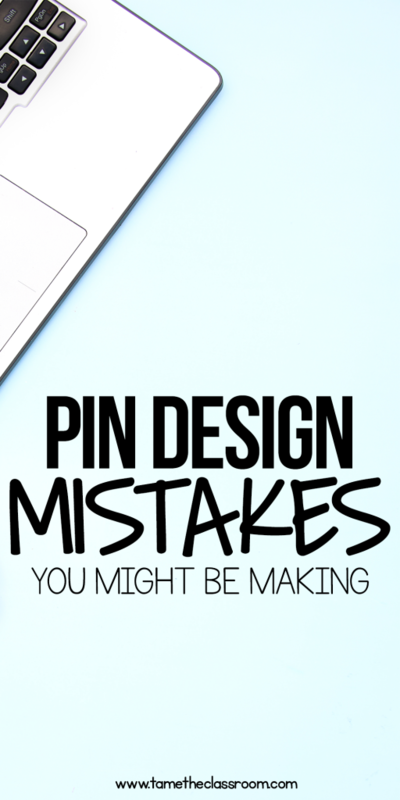 Have you made any of these pin design mistakes? Are you currently making these mistakes? Tell me in the comments below. Remember, you can always go back and edit pins to make them more visually appealing. 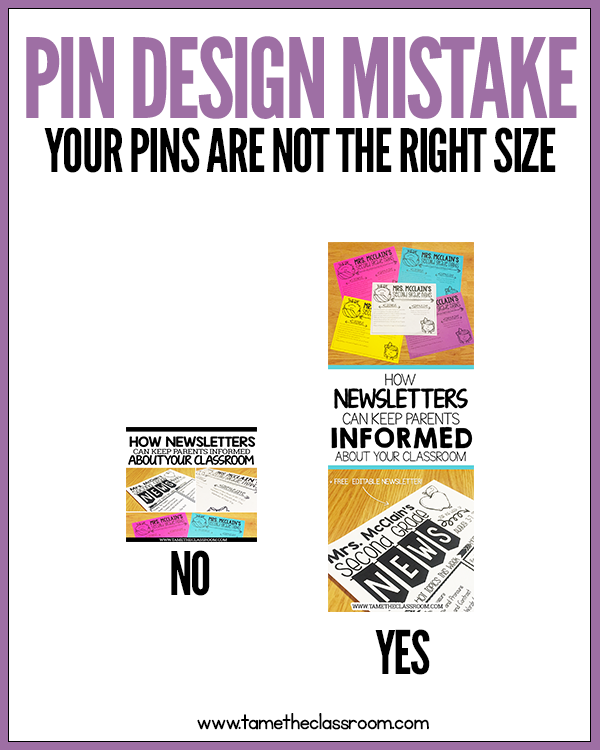 Don’t forget to GRAB YOUR FREE CHECKLIST to help you fix your pin design mistakes. 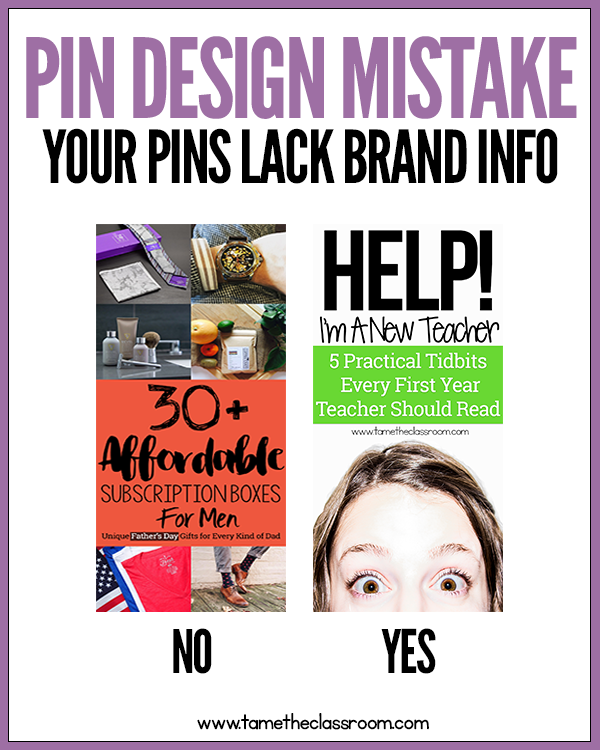 If you need more than that enroll in my FREE 5 day email course to help you fix your pin design mistakes. You can use Tailwind to save time pinning and reach your audience. 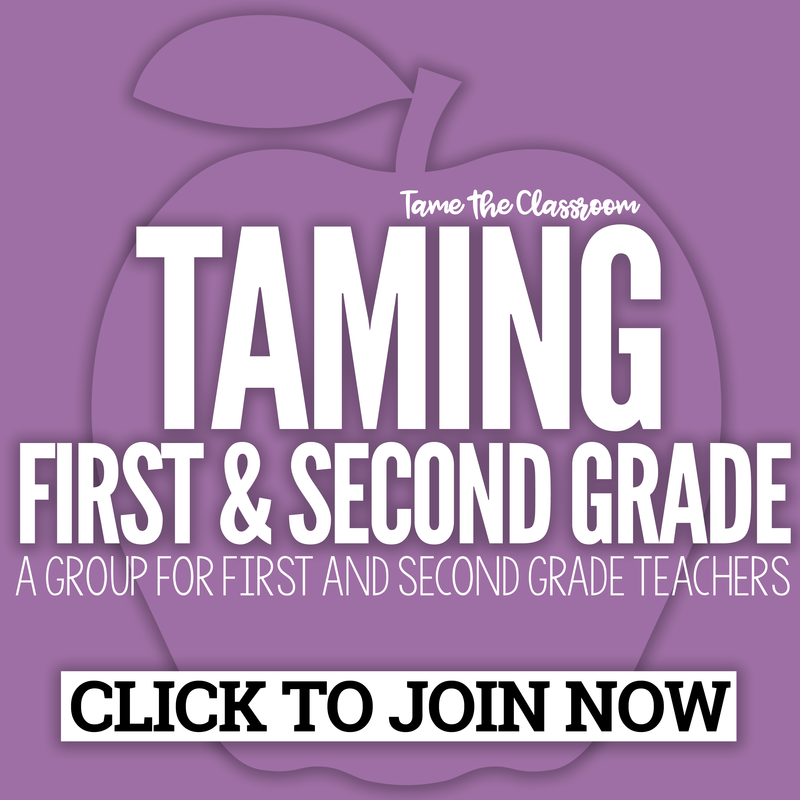 Sign up to the Tame the Classroom: Pinterest Design for Entrepreneurs mailing list for more Pinterest tips and ideas, and you’ll also get information on the upcoming course designed to teach you about pin creation and design. Good things to ponder. I’ve been trying to up my Pinterest game in 2018! Already seeing some progress in the data! Thanks for this! BTW, I want that orange nail polish in the first pic! You’re very welcome! Keep making progress, girl! These are great tips! I am currently working on creating long pins and I need ALL the help I can get! Thank you so much! I have been looking at creating more Pinterest friendly graphics for my blog and these are the PERFECT suggestions! Great post! Very helpful as I am new! As a new Pinterest user, these tips are so helpful! Thank you four sharing your expertise! I will definitely be using your checklist! Great to hear! Glad that these tips were helpful! Thank you Erin! It’s exactly what I need! These are great tips. I have been experimenting with longer pins and it seems good so far! Not sure about those square ones….hard to see the writing then. Thanks Wendy! Yeah, I’m still on the fence about square pins as well. I just like the look of the long vertical ones. I so needed to read this! Great information that I am going to use with my new pins. Great blog! This is interesting! I didn’t now Pinterest was liking different size pin images. I always thought that long pins were best but I do create pin form covers and thumbnails from my or others TpT stores. Thanks for the tips. I’m going to try to do better when creating pins! Me too! I thought that long pins were the only way to go as well. Play around with sizes and see which ones perform better. You wouldn’t think it, but Pinterest is really complicated. You have to do the right things to reach the right people it seems. Pin design and creation is just one part of the whole Pinterest game, but it’s an important one! O.M.G.!!!! What blogger doesn’t need this! I am pinning (and maybe even printing). Great educational post! You know what I love about your post? so thank you for all the tips. I was particularly interested in the info on Pin sizes… had no idea of the changes to square Pins. Liz, you’re the best! Thank you for your kind words 🙂 Yeah, apparently square pins are a thing now, but I don’t think I’ll be making the change lol…I like my long pins! All excellent tips. Pinning to share. Thank you! I had no idea square pins came back in last year haha… or that people steal pins!! Ah, yes! Square pins….not my cup of tea but they are apparently “in” now. As I said, I think I’ll stick to my long ones 🙂 And the stealing of pins is becoming a really big problem. I hope Pinterest does something to crack down on this issue. I design on Powerpoint and the slides are labeled in inches. How does that convert to pixels? You can type in the pixels and Powerpoint automatically converts it. For example, you can type in “900 px” and it will change by itself. I just found that tidbit out! To be honest, I think both of the pins in some of those sets are not great. I’m shocked to see you say, for instance, that the Help, I’m a New Teacher pin is better than the 30 Subscription Boxes for Men is better. Both are cluttered and use multiple typefaces and colors that are loud and distracting, unpleasant. I’m curious, are you saying the Help pin performed well? Or are you sharing personal opinion? I agree with a lot of what you shared, but the examples don’t seem to illustrate your points. I always thought to be Pinterest Worthy, pins had to be seriously stunning. Am I wrong? Beauty is in the eye of the beholder. What you consider “seriously stunning” means something entirely different to me or Jane across the street. The comparison of the new teacher pin and the subscription box pin was to show that brand info should be included. Do both pins use different fonts and colors? Yep. But I would also say that the New Teacher pin is also much clearer and easier to read. If I pulled up that pin and stood away from my computer, I could still read it. I don’t think I would be able to do that as successfully with the sub box pin (and I’m the one that created that pin!!!). Thank you for sharing your opinion.